Aura phase. About one-third of people who have migraine headaches describe having an unusual “feeling” or aura before the headache. 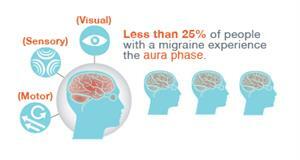 The aura phase includes visual, sensory, or motor symptoms that occur just before the headache. Examples include hallucinations, numbness, changes in speech, visual changes, and muscle weakness. Migraine sufferers may or may not have an aura before the beginning of the headache. Headache resolution phase. Pain lessens during this phase, but may be replaced with fatigue, irritability, and trouble concentrating. Some people feel refreshed after an attack, while others do not. The symptoms of migraine headache may look like other conditions or medical problems. Always see your healthcare provider for a diagnosis. Sinus X-rays. An X-ray to evaluate for congestion or other problems related to the headaches. CT scan or computed tomography scan. A diagnostic imaging procedure that uses X-rays and computer technology to make horizontal, or axial, images (often called slices) of the body or head. CT scans show more detail than standard X-rays. 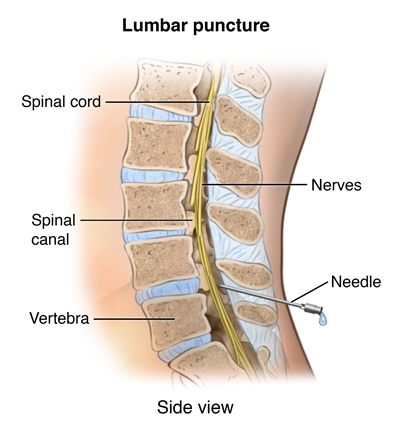 Spinal tap (also called a lumbar puncture). A special needle is placed into the lower back, into the spinal canal, which is the area around the spinal cord. The pressure in the spinal canal and brain can then be measured. A small amount of cerebral spinal fluid (CSF) can be removed and sent for testing to determine if there is an infection or other problems. CSF is the fluid that surrounds the brain and spinal cord. Abortive medicines. Medicines, prescribed by your doctor, that act on specific receptors in both the brain and the blood vessels in the head, stopping a headache once it is in progress. Rescue medicines. Medicines purchased over-the-counter, such as pain relievers, to diminish or stop the headache. Preventive (prophylactic) medicines. Medicines prescribed by your doctor that are taken daily to suppress the onset of severe migraine headaches.